LOVE THIS !!!! 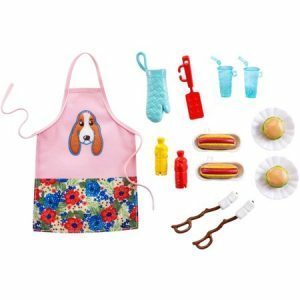 Barbie Pioneer Woman Ree Drummond Cooking Accessory Set- BBQ for just $6.97 !!! reg price $10 !!! Barbie loves to cook and bake, and she’s partnered with Ree Drummond, The Pioneer Woman, to create cooking-inspired toys to spark all kinds of delicious stories! Young chefs can cook up fun pretending to grill up a barbecue meal with this accessory set. Popples, Talking Plush Sunny for as low as $5.99 + FREE in store Pickup!!! reg price $20!! Lucasfilm 18″ Star Wars™ Stormtrooper™ Boys’ Bike for only $49 + FREE shipping !!!! reg price $80 !! InStep Sync Single Child Bike Trailer – Green/Grey for only $99 + FREE in store Pickup!!! reg price $129!! adidas Baseline Shoes Kids’ for just $25 !!! rg price $50 !! !